The Violet Crown Sports Association is an Austin-based bicycle club for cyclists of all ages, types, and abilities -- racers and non-racers alike -- which is open to anyone who wishes to join. 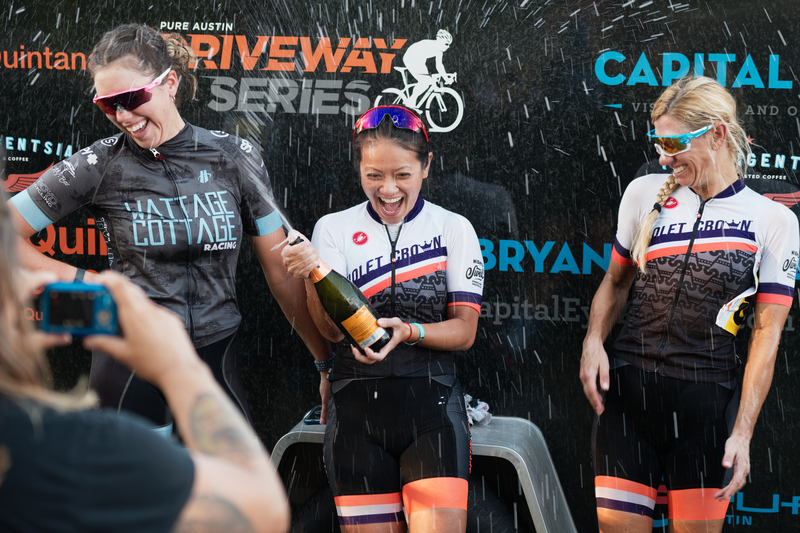 Formally established in 1981 and affiliated with USA Cycling, the national governing body for bicycle racing in the U.S., and the Texas Bicycle Racing Association, the Violet Crown is the oldest and largest bicycle racing club in Austin and one of the oldest and largest bicycle clubs in Texas. Most members reside in the greater Austin area or elsewhere in Texas. The Violet Crown is governed by a set of bylaws and overseen by a six-member board of directors. The club holds a registered trademark on its name issued by the U.S Patent and Trademark Office for cycling-related endeavors and is registered with the Texas Secretary of State and the U.S. Internal Revenue Service as a 501c(4) charitable organization. Check out who's placing, podiums, and primes! Click HERE for full list.